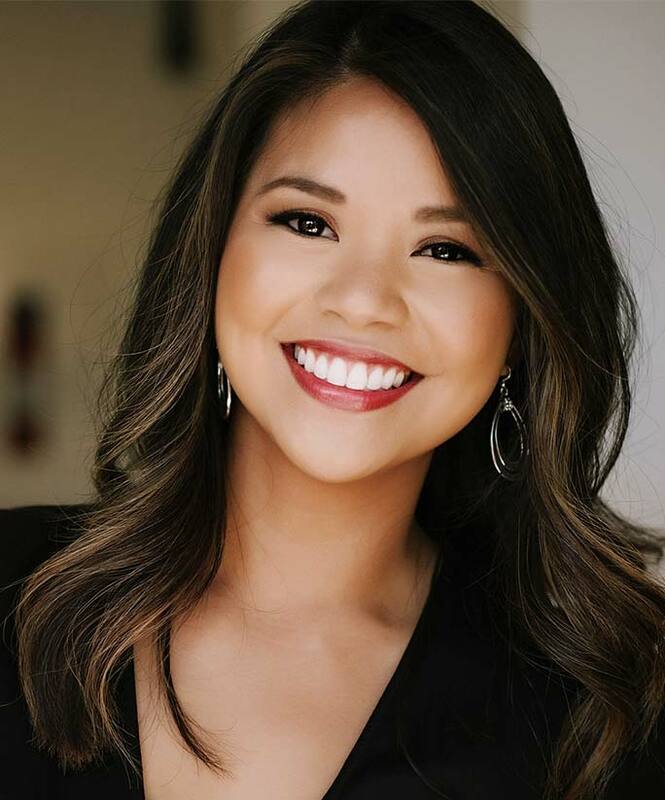 Dr. Ashley Joves, Dentist in Folsom, CA – Smile & Co.
Born in Ohio, Dr. Ashley Joves moved to Fremont, CA at the age of four. She graduated from UC Davis with a B.S. in Psychobiology - which may explain her passion for interpersonal communication and the psychology behind anxiety and fear. Following graduation, she worked in a private dental office in the Bay Area and fell in love with dentistry. She pursued her passion and was accepted to NYU College of Dentistry, fulfilling her lifelong dream to live in Manhattan. During her time in New York, she was captivated by the food, wine, music, art and culture. After graduating with honors from NYU, she completed a one-year general practice residency at Abington Memorial Hospital in Philadelphia. As one of only three residents chosen for this competitive program, she received extensive training in all aspects of general dentistry: restorative (fillings), fixed and removable prosthodontics (crown and bridge), orthodontics (braces and Invisalign), pediatrics, oral surgery, periodontics (soft tissue/gums), endodontics (root canals), cosmetic and implant therapy. Dr. Ashley is passionate about staying on the leading edge of dentistry and invests hundreds of hours into ongoing training each year. She recently completed a four-month continuum specializing in implant dentistry through Implant Seminars. She is also pursuing a fellowship in implant dentistry through The International Dental Implant Association. Dr. Ashley is an active member of the American Dental Association, California Dental Association, Sacramento District Dental Society, American Academy of Cosmetic Dentistry, Academy of General Dentistry, and Doctors for Oral Conscious Sedation. Catch a glimpse of Dr. Ashley’s heart as she shares the powerful inspiration driving her dream. Beyond Smile & Co., she is a wife to her college sweetheart, Brian, and a doting mother to their two young rambunctious boys, Hudson and Brady. She loves to share stories of her latest foodie extravaganzas, travel experiences and #momlife struggles and invites you to do the same! She can’t wait to meet you!